Excellent airtightness with the 4-sided lockable lid. Can be served straight from the oven and microwave. Able to withstand temperature up to 400°C. Boroseal uses heat resistant glass for safety. 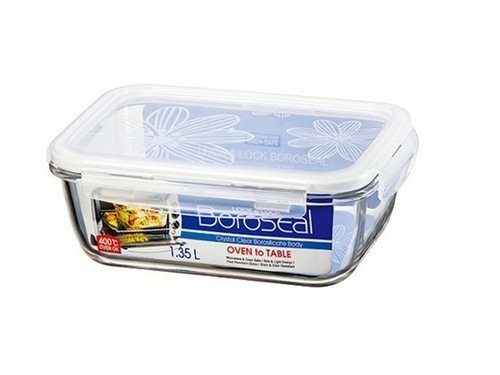 Freezer, refrigerator, microwave/oven (without lid) and dishwasher safe.